Nations and individuals share the same techniques to survive a crisis—and thrive beyond it. What Can We Learn from Traditional Tribal Societies about Dealing with Dangers? What Are The Themes that Cause Societies to Collapse? Jared Diamond is the epitome of a celebrity scientist—a Pulitzer Prize Winner, a #1 New York Times bestselling author, and one of the world’s Top 10 Public Intellectuals (Foreign Policy). He also uniquely addresses our world in crisis—Brexit, border walls, the Trump Administration, and more—in his eloquent writing. With the forthcoming Upheaval, Diamond offers the final installment in a sweeping trilogy that began with Guns, Germs, and Steel—a series the Times calls “one of the most significant projects embarked upon by any intellectual of our generation.” Now, he reveals a brilliant new theory of how and why some nations recover from traumatic crisis and others don’t—and how we as individuals can learn from this. In his earlier blockbusters Guns, Germs, and Steel and Collapse, Jared Diamond transformed our understanding of what makes civilizations rise, thrive, or fall. Now with Upheaval, he shows how successful nations recover from crisis through selective change—a coping mechanism more commonly associated with personal trauma. His keynotes take audiences on a journey through some of the most profound evolutionary questions of our time: why do some societies prosper while others die? And what can we learn from the collective history of every human society? Focusing on how we can improve contemporary society by learning from the past, Diamond’s message is both urgent and persuasive. Guns, Germs, and Steel (adapted into a hit three-part documentary by the National Geographic Society and broadcast on PBS) explained how the gaps in power and technology between human societies originate primarily in environmental differences. The follow-up, Collapse, examined a range of past societies to identify why they either collapsed or continued to thrive. In Upheaval, Diamond reveals how both nations and individuals can become more resilient—a narrative both epic and groundbreaking. In suite with the first two titles in series, Upheaval inspires a new talk that adds psychological dimension to the awe-inspiring grasp of history, geography, economics, and anthropology that marks all Diamond’s work. Currently a professor of Geography at UCLA, Diamond is also the author of the internationally bestselling books The World Until Yesterday, and The Third Chimpanzee. He has received some of the world’s most prestigious awards, including a MacArthur Genius Award, the Dickson Prize in Science, the Tyler Prize for Environmental Achievement and the National Medal of Science, America’s highest civilian award in science. Foreign Policy has named him one of the world’s top 10 public intellectuals. In a new talk based on Upheaval, Jared Diamond reveals how successful nations recover from crisis through selective change. In a dazzling comparative study, he shows audiences how seven countries have survived defining upheavals in the recent past—from US Commodore Perry’s arrival in Japan to the Soviet invasion of Finland to Pinochet’s regime in Chile—through a process of painful self-appraisal and adaptation, identifying patterns in the way that these distinct nations recovered from calamity. Looking ahead to the future, he investigates whether the United States, and the world, are squandering their natural advantages, on a path towards political conflict and decline. Or can we still learn from the lessons of the past? Timelier than ever, you and your audience will leave this talk with a visceral understanding of how both nations and individuals can become more resilient. When a nation experiences crisis, selective change must be adopted in order to come out the other side. As people, we also experience personal crises, triggered by factors like time-of-life (think teen anguish or midlife crossroads) or external shocks (like divorce, the death of a loved one, professional or financial strain). In this talk, Jared Diamond highlights the macro to help us understand the micro, and vice-versa. As he demonstrates, personal crisis also requires implementing selective change, which some of us are better at. Psychologists have identified a dozen factors predicting the likelihood that an individual will succeed in resolving such a personal crisis through selective change. But nations similarly undergo national crises, whose resolution similarly requires selective national change. What are the skills and traits that move us forward, in both domains? In this fascinating keynote, Diamond examines how the personal really is political, and how we can learn from adversity on the grandest and smallest of scales. Tribal Societies What Can We Learn from Traditional Tribal Societies about Dealing with Dangers? We citizens of all big modern industrialized societies take for granted many features shared among those societies—such as encountering strangers every day without freaking out, living in societies of thousands or millions of people under a central government with laws and police, and eating food grown by other people. We forget that all of those shared features emerged only recently in the history of the human species. Until then, all people lived in tiny societies of just a few dozen or a few hundred people, where encounters with strangers were rare and terrifying, central governments didn’t exist, and everyone grew or hunted and gathered their own food. In the modern world today, there still remain many small traditional societies retaining many of those traditional features of human history. While tribal societies are in some respects very different from our modern industrial societies, in other respects they are similar, because they confront the same universal human problems of bringing up children, growing old, resolving disputes, staying healthy, and dealing with dangers. 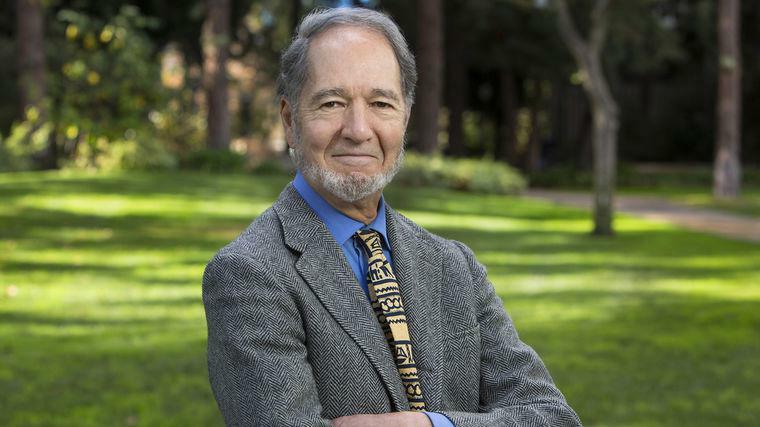 Jared Diamond will discuss tribal solutions to these problems, on the basis of his 50 years of experience of living and working among traditional societies. It turns out that many of the ways in which traditional peoples solve those universal human problems are ones that we can incorporate with great profit into our lives. For instance, Diamond will show you why you should stop worrying about dangers from terrorists and plane crashes, and start paying serious attention to the dangers of slipping in the shower, on the stairs, or on the sidewalk. In recent decades, astronomers have discovered at least 3,264 planets orbiting nearby stars, many of those planets similar in size to our planet Earth, and some of them with conditions suitable for the evolution of life. We now estimate that the whole universe contains on the order of a billion planets supporting life, some of those life forms less intelligent than us, some more intelligent than us. Why, then, have we never been visited by flying saucers? And what would an intelligent creature from the Andromeda Nebula, upon visiting Earth, conclude about human religion? The visitor would notice that religion is virtually ubiquitous among human societies, but that it costs humans huge amounts of time and resources. Why, then, haven’t atheistic societies, which could devote all of that time and resources to other purposes, thereby gained a big advantage and taken over the Earth? The Andromedan visitor would realize that human religion also serves functions and brings at least seven types of benefits, which have changed in importance over the course of human history. These changes suggest guesses about how human religion will change during the next 50 years. Today, there are huge differences between peoples of the five inhabited continents in their wealth and power. In particular, over the last five centuries, European peoples have expanded and conquered around the world. Why did history turn out that way, instead of in a different or opposite way? Why didn’t the Aztec Emperor Montezuma conquer Spain, instead of the actual result that soldiers of Spain’s emperor conquered the Aztecs? 13,000 years ago, all peoples on all continents were hunter/gatherers, living at approximately similar levels of technology and social organization and power. Hence the inequalities of the modern world must have arisen from differences in rates of societal development on the different continents over the last 13,000 years. Those different rates of development constitute the biggest question about human history. How can we account for those different rates of development? Jared Diamond will discuss that big question in the light of his famous Pulitzer-Prize-winning book Guns, Germs, and Steel. The U.S. is the richest country in the world, with the world’s strongest military. Those strengths of ours arise from our underlying geographic, socio-economic, and political advantages. But history shows us that countries enjoying advantages can squander them, as has happened to Argentina, Brazil, and China. In this keynote, Jared Diamond explains that the U.S. today faces four fundamental unfolding problems that threaten American democracy, wealth, and power. History also shows us that some nations have confronted and solved unfolding problems, while other nations haven’t. What factors make it either more likely or less likely that we Americans will solve our own emerging problems? Shaping Discourse: Five Lavin Speakers Named to "100 Global Thought Leaders"
Jared Diamond: What Can New Guinean Conflict Teach Us About Modern War? Why Nations Fail: "A Grand, Provocative History In The Style Of Jared Diamond"